Here’s the new quickly we’ll talk this time about storage, and more specifically SSD’s. Why are they fast? Already what is a SSD? 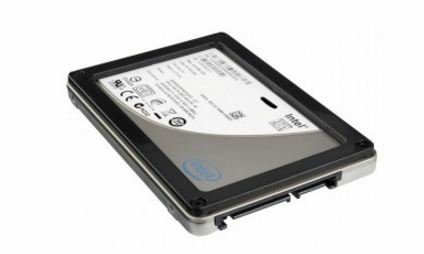 A SSD, its full name solid state drive is a storage unit, as well as a hard drive (HDD, for hard drive disk). So it is there to store more or less durable information, and this without needing to be constantly fed. However, it differs from the hard drive by the way of storing. A hard drive is mechanical: It uses magnetic disc trays, and reads and writes heads to read and write to these discs. A SSD has a completely different operation: storage is performed by NAND flash-type memory chips. These memory chips are run by a controller, who will take care of the transfers. In fact, the principle sticks a lot with that of the USB sticks, except that it is much faster. And then we can start to ask: Why is a SSD faster than a HDD? The answer may seem obvious: hey but have you seen the specs? More than 500 MB/s of throughput while a hard drive is not capable of reaching 200 MB/s. Well it’s not that obvious. Indeed, some did not know the SSDs too much at that time, but the first ones had pretty pitiful flows: just a hundred MB/s read and barely 50 MB/s write, is much less than hard disks. But they stayed faster. A little more recently, the Intel X25V (in 2010) was an perf/Price report reference and displayed 170 MB/s sequential read and 35 MB/s write. And at the time, having a capacity of 40 GB for €130 it was quite exceptional. But in short, you will have understood: the technical specifications are not synonymous with speed. But then what is the speed of a storage unit in the broad sense? We will give it that meaning: it is the speed at which it manipulates the files. When we say manipulate, it is to create, modify, delete or even read them. And depending on the file, the storage unit will not have the same behavior, and therefore not the same performance. Typically, the performance of a storage unit will not be the same depending on the size of the manipulated files, because of a characteristic that often tends to be forgotten: access time. The access time is, as you will see in these next lines, by far the most important feature for the performance of a storage unit. We’ll see about that. Access time is the time it takes for a storage unit to access a data. On a hard drive is the time that the disc turns so that the head is placed just on the data. A hard drive with 15 Ms of access time for example will average 15 MS to access a file (and it is only after these 15 ms that reading or writing actually starts). And as you can imagine, SSDs are much better than HDD’s in this area. Indeed a good quality 5400 RPM HDD will be at 15 ms of access time, against 10 ms a 7200 rpm, and between 0.05 and 0.1 ms for a SSD. You see the Gap! We will do math (not complicated, don’t worry) to simulate the behavior of a storage unit when playing a file. Already we need its sequential flow (read if you want to read and write if you want to enter) as well as its access time. We will see how fast a storage unit (SSD or HDD) will achieve an action. We will look at the behavior of three hypothetical storage units on files of different sizes. Whether reading and writing, the time required for an action is the sum of time to access the data and the time of interaction with the data. A recent SSD with a throughput of 500 MB/s and an access time of 0.1 Ms also. The hard drive puts 15 ms (0.015 s) to access the data and 1 s to write it (because read 150 MB with a throughput of 150 MB/s takes a second ^ ^). For our action, it will have put 1.010 s.
In this example, the hard drive is faster than the old SSD. In our action, it will have had a real throughput of 150/1, 015s = 147.78 mb/s. The old SSD when at it will have had a real throughput of 150/3, 0001 s = 49.998 MB/s. While the recent SSD had a throughput of 150/0, 3001s = 499.83 mb/s. Of course, the newer SSD is doing better than the other two, but if we only take care of the old SSD and the hard drive, the latter is more efficient, thanks to its higher sequential throughput. The hard drive always puts 15 ms to access the data and 6.66 MS to write it. Altogether it will have put 21.66 Ms. If throughput is calculated, this is 1 MB/21, 66ms = 46.16 mb/s for hard disk, against 1 MB/20, 1 = 49.75 MB/s and 1 MB/2.1 ms = 476.19 MB/s. We see here that the recent SSD always exceeds the others from afar. The old SSD is passed in front of the hard drive, despite its 3 times lower sequential flow. What for? Thanks to its access time, much lower. Indeed in the case of the hard drive, in this example it will have taken more time to reach the data than to interact with it, thus diminishing its actual flow. The hard drive always puts 15 ms to access the data and 0.066 MS to write it. Altogether it will have put 15.066 Ms.
On the debit side, the hard disk collapses because 10 KB in 15.066 MS is 664 KB/s, compared to 33 MB/s for the old SSD vs. 83.33 MB/s for the recent SSD. Concretely, it is seen here that no matter (or almost) the reading rate, it is almost instantaneous given the size of the file. On the other hand, the access time takes a huge proportion compared to the almost instantaneous reading of the file. Thus, the hard drive will collapse to a few hundred kb/s while the SSD’s remain at several tens of MB/s. In the end, you’ll understand, the smaller the files, the more access time is paramount in performance. And most of the software, and especially operating systems, are made up of a myriad of small files. Thus, new or older SSDs are by far more efficient in these conditions, thanks to their very low access time. Because, as we have seen, a low access time allows the small files to be processed very quickly compared to a disk with a much larger latency, regardless of the sequential bitrates. In the games, the finding is less glaring, because there are also many small files, but also large texture files, for which there is not a blatant discrepancy between hard disk and SSD. Of course, the figures that we have released are not measures but theoretical figures derived from simplified calculations. But they give an idea of the overall behavior of a storage unit depending on the size of the files manipulated. Morality of the whole story: for a system disk, sequential bitrates matter little in the end, especially look at the performance on small files, which depends a lot on the access time. In addition, the files, even large, fragmented into small files, behave like small files. So very high performance drops for the hard drive, while the SSD is doing much better. Hence the absolute need to defragment the hard drive, while a SSD does not necessarily need it. So if you’re using a SSD as a system disk, say you bought it more for its 0.1 ms access time (see less times) than for its 500 MB/s of sequential bitrates, read or write.